Admired for its paradise islands and rich cultural history, Hawaii continues to seduce tourists to revisit it again and again. Its beaches are famous surfer havens that international surfing champions frequent. The state also boasts a fearsome chain of volcanoes because of its location in the Pacific. Aside from that, Hawaii is a rich source of natural resources such as coconuts, bananas, and sugarcane products. More than the beaches, volcanoes and the natural resources, however, Hawaii takes pride in its people, the Kanaka Maoli – a warm and happy group who has managed a kingdom even before the British colonized them. 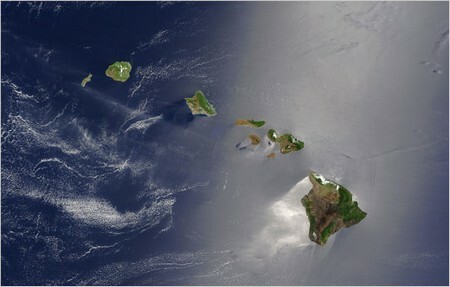 The Hawaiian Archipelago has the most isolated inhabited islands in the world. The islands are located almost 2400 miles from California, 3800 miles from Japan, and 2400 miles from the Marquesas Islands. The last group of islands is believed to be the place from which the first settlers, the Menehune, arrived in Hawaii around 300 to 400 AD. This settlement was later displaced by a group of settlers from Tahiti. Under the Multiple Migration Theory, the first settlement of the Menehune people was overthrown by a group of taller and physically stronger people from Tahiti. The isolation of Hawaii from the rest of the world is the reason why it was also one of the last places discovered by the New World. In 1778, while searching for the fabled Northwest Passage between Alaska and Asia, Captain James Cook and his crew stumbled upon a group of islands so far north in the Pacific. He named them the Sandwich Islands. After Cook, many Europeans and Americans explored the islands. Hundreds of thousands of Kanaka Maoli, the first people of Hawaii, lived in the islands in a highly organized, self-sufficient, subsistent social system. Since the first contact with explorers and missionaries, however, this number has been drastically reduced to less than 40,000 people. The reduction in numbers was caused partly by war, and partly by diseases. The Kanaka Maoli were originally healthy, but unprepared for the diseases of the New World such as smallpox. Aside from that, the peoples of Hawaii who were divided before as Kingdoms began to fight more aggressively with the availability of western weapons such as swords and guns. However, thirty-two years after the arrival of Captain James Cook and his crew, Hawaii became united into one Great Kingdom under Kamehameha I with the help of a large army and foreign weapons. His son, Kamehameha II, succeeded him when he died. Kamehameha II is also named Liholiho and like his father, changed Hawaii not only politically, but also socially. In his reign, he eliminated the kapu (“taboo”) system and broke one of them by eating with his stepmother and other women of chiefly rank. Men and women eating together is one of the kapus forbidden in the old system and punishable by death. After Liholiho, Kamehameha III continued to carry the torch for the family’s propensity for making evolutionary changes with Hawaii’s politics and governance arena. Under his rule, Kamehameha III issued the Hawaiian Declaration of Rights and promulgated the Constitution for the Hawaiian Islands, changing the governance of Hawaii from an absolute monarchy into a constitutional monarchy. After the third Kamehameha, two more followed to rule Hawaiian monarchy. When the fifth Kamehameha, Lot, was dying, he tried to ask his daughter to ascend to the throne, but she refused and chose instead to live a private life with her British husband. Despite this refusal, a woman was able to rule the land. Queen Lili’uokalani was the only woman and the last monarch to rule Hawaii before the Kingdom was overthrown by foreigners. After the monarchy’s line of ascendancy ended in 1893, the Kingdom of Hawaii was overthrown by the European and American merchants and traders. 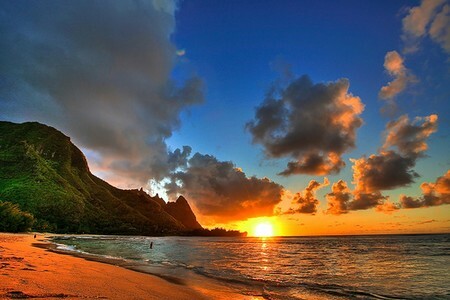 Hawaii became an independent republic from 1894 to 1898, when it was annexed to the United States as a territory. It became the 50th state of America when President Dwight D. Eisenhower signed a bill on March 18, 1959 allowing its statehood. 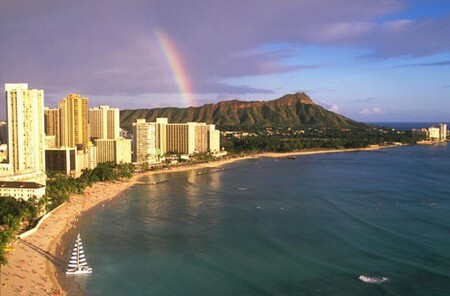 After statehood, Hawaii quickly became a modern state with a construction boom and rapidly growing economy.